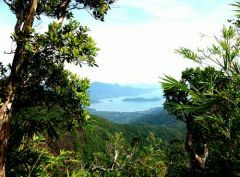 We can book your joining / shared minivan or VIP bus transfer into Koh Chang prior to your arrival, so please contact us in advance of your trip to make your reservation. Service is available for transfers from Bangkok, Pattaya and Trat Airport only. 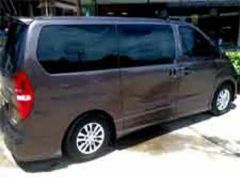 * Minibus: Pick up time is approximate (from 07:20 to 09:00 / 08:20 to 10:00), depending on your location in Bangkok. Only Bangkok City, East of the river (Khao San Rd, Sukhumvit, Pratunam, Silom, Siam etc) is serviced. The later service can pick up from hotels near to BKK Airport at about 10:30. Thonburi and West of the river not serviced. 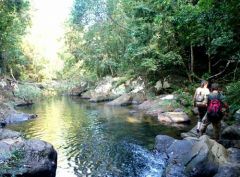 Prices are correct for drop offs on Koh Chang's West Coast (as far as Kai Bae). Seaview Resort and beyond is subject to a surcharge. 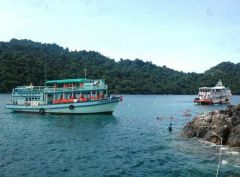 Koh Chang East coast is NOT serviced - ask your resort to meet you at Ao Subparot pier. 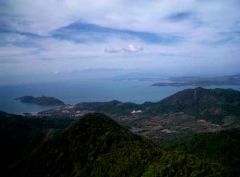 Not all Koh Chang resorts are accessible by minibus so there may be a short final leg by free taxi, or foot!. 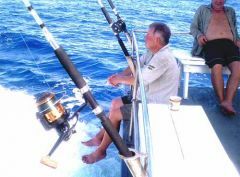 Pick up time is approximate, depending on your location in Pattaya or Jomtien. Price is correct for drop offs on Koh Chang's West Coast (the pier as far as Kai Bae). Seaview Resort and beyond is subject to a surcharge. Prices are for payment made in advance. 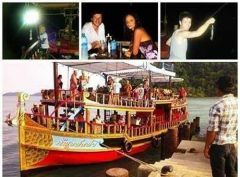 Koh Chang East coast is NOT serviced - ask your resort to meet you at Ao Subparot pier. 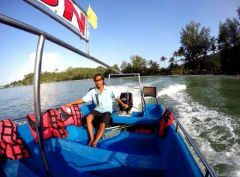 Not all Koh Chang resorts are accessible by minibus so there may be a short final leg by free taxi, or foot!. Ready to book a trip? 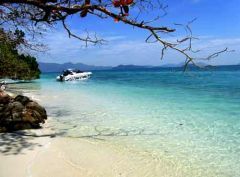 Timetables and prices for Joining Minibuses and big buses between Koh Chang and Bangkok, Koh Samet, Pattaya, Trat Airport and Cambodia can be found below. These tickets are on sale at our shop on Koh Chang, or we can visit you in your resort for ticket delivery and payment. 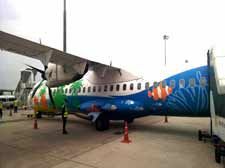 If you want to travel on one of these services from Pattaya, Bangkok or Trat Airport (or anywhere else) to Koh Chang, then please contact us. *Taxi fare Chai Chet to Ao Subparot ferry for VIP Bus is approx 80 Baht. Take taxi at 09:00 from Chai Chet for 10:00 ferry from Ao Subparot to Ao Thamachat. 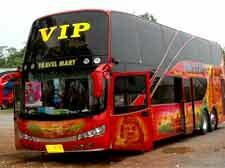 *The VIP bus can connect to destinations all over Thailand. Buses to those places usually leave from Kao San Road, in Bangkok, from 18:00. Through tickets to those place can be bought from our shop. 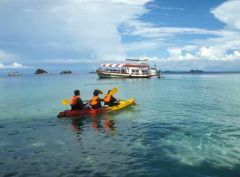 For island destinations such as Koh Samui, Koh Pha Ngam, Koh Tao, Koh Phi Phi and Koh Lanta, ferry ticket is included. See table below for details of far-flung bus services that you can connect with. ** Drop offs are inside Downtown areas of Bangkok only: Silom, Sukhumvit, Pratunam, Kao San Road etc. Drop-offs at Suvarnabhumi Airport hotels is also possible. Ao Subparot to Ao Thamachat. 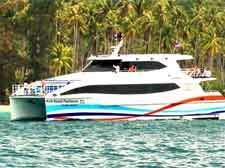 Ferry tickets off Koh Chang included. 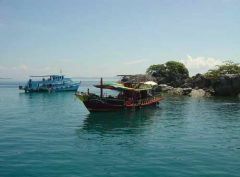 Ferry ticket to Koh Samet not included. 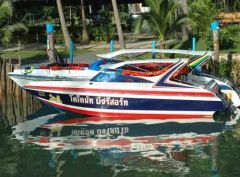 Take taxi at 09:00 from Chai Chet for the 10:00 ferry from Ao Subparot to Ao Thamachat. Visa for Cambodia not included. 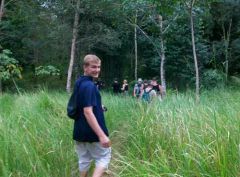 For packages and other Cambodian possibilities, please refer to our Cambodian tours pages. All of the above pick-up times are approximate for the Chai Chet / Klong Prao area. 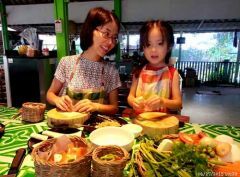 Prices are for the Chai Chet / Klong Prao area, and may increase for pick-ups from other areas such as Sea View Resort (Kai Bae) to Lonely Beach, Bailan and Bang Bao. 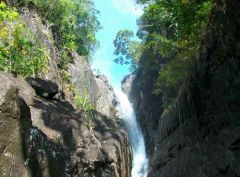 All prices are inclusive of ferry ticket from Koh Chang. Note - Joining services through the border into Siem Reap, Phnom Penh, Battambang and Sihanoukville are no longer available from us. Ask us for a private transfer instead. 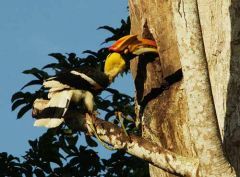 Koh Chang to other places in Thailand, via VIP Bus to Bangkok. The VIP Bus connects with these services at Kao San Road from 18:00 hrs. 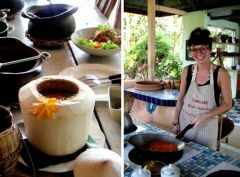 These are THROUGH prices, from Koh Chang. 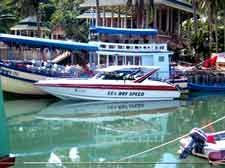 Ferry from Koh Chang AND ferry to any far-flung island IS included in these prices. 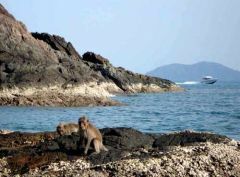 Special Return trip prices available on Koh Tao, Koh Samui, Koh Pha Ngam, Krabi and Koh Phi Phi routes. Return price for those destinations = One-Way price plus 200 baht.